There are many attractions that provide guests with very different views, depending where they are sitting. The Great Movie Ride at Hollywood Studios is one good example. Last night, I rode the attraction from the far left edge of the ride vehicle, and took some pictures that I haven't had a clear shot of in the past. 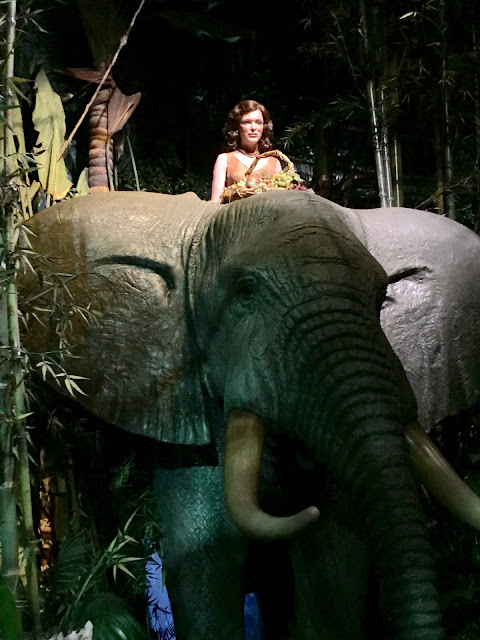 This is Jane riding on an elephant from the 1932 movie, Tarzan the Ape Man.